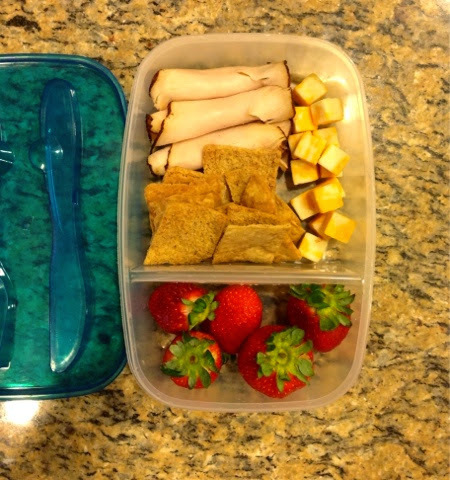 I just roll the turkey, pair it with the cheese cubes and pita chips, then have my strawberries as a yummy dessert! Remember to aim for smaller meals throughout the day, preferably every 3 hours. I also wanted to share my favorite morning wake up drink....coffee! I LOVE iced coffee and my addiction has increased ever since I found the legit coffee aisle at HEB. They have so many flavors to choose from that you can buy in bulk. You choose the coffee beans that sound yum, and they have a grinder that grinds them up for you. 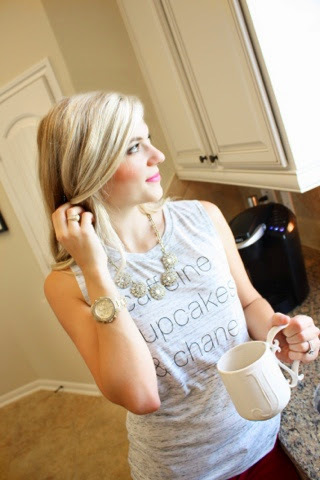 I use the little keurig cups at home that let you put your own coffee grinds in and brew. SO brilliant. Anyways, I chose three different flavors to try and I'm obsessed with all of them! I got Pumpkin Spice, Almond Joy, and Vanilla Cinnamon. I use sugar free vanilla (I prefer Torani) and a little bit of heavy whipping cream (Horizon is my fave). I swear it tastes just like Starbucks or McDonald's ice coffee, but healthier! I put a lot of ice in a large cup, add a little bit of the heavy whip and sugar free vanilla, then brew the coffee and stir. It melts perfectly and tastes delicious! Below are some fun pictures that Hannah took of me using the Keurig. I know these are pictures of hot coffee, but don't worry. I quickly turned it into iced!